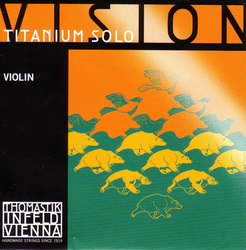 Vision Titanium Solo featuring an advanced multifilament core and highly polished string surfaces. A powerful string with a focused sound aimed at the solo player. High performance Stainless steel E. Similar to Evah Pirazzi.